CCleaner Network Edition 2019 is a special version of CCleaner - a hugely popular and award-winning system optimization tool, which is designed specifically for the business and enterprise world networks. It's a fully-featured centrally-managed Endpoint optimization solution, with SMB and Enterprise Network support. Once endpoints stop working at peak performance, your entire business slows down. Inefficient endpoints which slow, crash or run out of disk space decrease employee productivity and unnecessarily drain valuable IT resources. CCleaner patented Network Registry and File Cleaner, free up valuable hard drive space optimizing Windows to runs faster, and also allows you to protect your corporate security by cleaning traces of online activities. With its centralized Admin Console, CCleaner Network 2019 gives you the power to ensure your endpoints are running clean, safe and fast without ever leaving your desk. It allows you to schedule and deploy cleaning tasks across an entire network, from an easy to use remote management console. The result is reduced Helpdesk costs, while reporting and auditing become easier. CN Professional supports LDAP, proxy servers, and authenticated servers, simplifying license activation and upgrades. DHCP support enables dynamic IP address management. You can easily migrate your CCleaner Network server with the service database import/export feature. CCleaner Network Professional has a built-in reporting tool that gives you access to a variety of reports for management, technicians, and CCleaner administrators. You can create table, bar, and pie reports and export them to Excel or as a PDF, CSV, image and more, for use elsewhere. CCleaner Enterprise Edition runs as a service on an administrative server and provides access to a management console, while a lightweight agent runs on each endpoint. Furthermore, It's multi-threaded and architected for speed and network efficiency. Please note that The networked version of CCleaner is not designed to be used over the Internet. CCleaner Network Edition - Endpoint optimization. CCleaner Network Professional - Endpoint optimization with defragmentation. 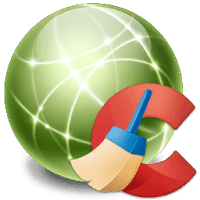 CCleaner Network Pro has the same features as the "Network Edition", but also includes Piriform’s Defraggler tool, which speeds up endpoints by assembling fragmented files and organizing them in a more efficient way. The result is improved computing and extended hard drive life. This professional version is specifically designed for installation on corporate networks. With a comprehensive admin interface to simplify the deployment across the enterprise. Licensing: You only need to buy licenses for Endpoints that you want to install the Agent on. The minimum number of licenses per network is 10 and each Endpoint Agent will only run on one computer. You can also purchase less if you do not want to run CCleaner on all the Endpoints on your network. An Endpoint license is valid for cleaning all profiles on an Endpoint. For example, if you have 300 Endpoints and 25 servers, you would require 325 licenses. Grab exclusive CCleaner discount code valid at official store! Disclaimer: Direct downloads for the lastest version of CCleaner Network Edition 2.08.49 are provided by the official software's author, we can't guarantee safety, availability or download speed. Moreover, we don't and we won't provide any pirated/illegal versions or tools. We recommend you to avoid it as these methods can harm your device. If you like the software, buy it to support the developers. (We provide software discounts for many worldwide brands).